Prof Sergio Focardi dead at 80 | Mats Lewan: The Biggest Shift Ever. 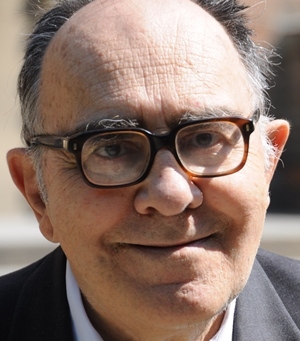 Sergio Focardi, emeritus professor in experimental physics at the University of Bologna, passed away the night between Friday 21st and Saturday 22nd of June, 80 years old, after a long illness. Focardi was born on July 6, 1932, in Firenze, Italy. He was Dean of the Faculty of Mathematical, Physical and Natural Sciences from 1980 to 1989 and was chairman for the education i data sciences at Bologna University’s campus in Cesena from 1992 to 2000. For many years he was a leading member of the Italian Physics Society and he was also president for the department of Bologna of the Italian National Institute for Nuclear Physics. During the 1990’s Focardi did research on LENR together with physicists Francesco Piantelli and Roberto Habel. The three researchers studied a system of nickel and hydrogen in which they detected an anomalous thermal energy release. LENR is a general term for effects of anomalous thermal heat production, i.e. an energy release which is orders of magnitude greater than those possible from chemical reactions, although it is not identified as any presently known nuclear reactions such as fission or thermal fusion. Such reactions are also connected with the term cold fusion. Since 2007 Focardi worked as scientific adviser to Andrea Rossi, inventor of the energy device E-Cat, which is also based on nickel and hydrogen. The funeral of Focardi was held on Monday 24th of June in Bologna. Focardi is survived by his wife, his son and two daughters. This is complete nonsense (an example of pluralistic ignorance, being more specific). The original article from CERN group clearly states, that heat anomaly effects were confirmed. Interesting find of an old NyTeknik article… on Moletrap. “Investors would invest 65 million kronor in the British company Hydro Fusion driven by four Swedes. The company has a commercial license agreement with the inventor of E-cat, Italian Andrea Rossi. The condition was a new measurement that could verify the function of Rossi’s E-cat – an energy invention of Rossi’s loaded with small amounts of nickel powder, hydrogen gas and a number of secret catalysts. The idea is that more energy will be developed than what is supplied by electric heaters. Rossi’s hypothesis is that it is done by a hitherto unknown type of nuclear reaction. When investors measuring 6 September in Bologna, however, could no heat energy is found beyond the input electric power. The investor group had instructed the SP Technical Research Institute , to monitor the measurement, and the scientists who attended measured an input electrical power was two to three times higher than Rossi himself measured (the measurement used the SP so-called True RMS instrument ) . Is it possible to obtain the actual report of the test from the SP Technical Research Institute? Very sensitive comment Mary. Also your timing is almost perfect……. Rest in peace, Dr. Focardi. I’ll always remember your smile. I might add that I expect believers to respond with personal attacks and what they perceive to be identity issues because they will be unable to refute the simple facts I posted. With due respect to Dr. Focardi, who seemed to be a gentle and kind individual, it has to be noted that replication of his work on nickel and hydrogen cold fusion/LENR was attempted at CERN and other illustrious places. Despite the fact that the investigators did their sincere best effort, the work could not be replicated. The results Focardi et al obtained may have been errors in measurements and methods. I also never understood why Dr. Focardi did not compel Rossi *publicly*, in the early demonstrations and experiments, to report an ecat test which included a blank run (for example without hydrogen) and a calibration run with known electrical heating, to make sure that the measuring method for output heat worked properly and did not report excessive enthalpy. I think Focardi’s uncritical support of Rossi’s reported ecat results was gullible. Unlike some others, I do not think he was involved in any scamming by Rossi. Thank you for the article. He will be missed.